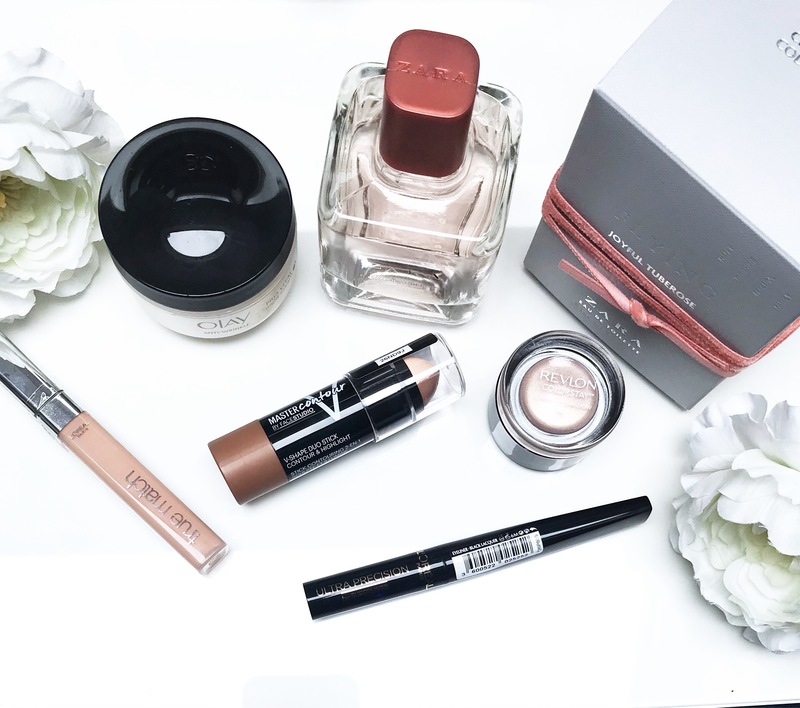 Today I want to share with you some beauty bits, I recently picked up in London …. First I want to start from the new perfume for my collection, I never used before Zara fragrances, but I decided to try the Zara Joyful Tuberose ( Christmas collection) this is a floral fruity fragrance, it is delicate,elegant and perfect as a day perfume…. Another product is new for me Is the Maybelline Master Contour Duo Stick, It’s a stick contouring 2 in 1, Highlight to enhance. A sculpted, V-shaped face. Revlon Colorstay creme eyeshadow its a nicely pigmented and creamy texture, I bought only one shade in 705, the exact shade that i have been looking for. It’s perfect for everyday. L’Oreal perfect match concealer, Instant coverage and smoothing, Corrects skin tone and undertone, Enriched with Caffeine to reduce the appearance of dark circles overtime. L’Oreal ultra precision liner, I’m keep buying this, at the moment is my favourite eyeliner. It does not smudge or smear on to the upper eyelid. it dries quickly and lasts throughout the day. Last but not least it’s Olay anti-wrinkle pro vital night cream, I used this cream for a while, but I stopped use it just to try a new products, but now I decided to go back, it’s one of the night cream I really like. That eye-liner is my absolute favourite! It is also my favorite 👍 thanks!